The Urinelle® Female Urinary Device is great for women who like to tailgate and want to avoid nasty public port-o-lets. Unique cone design offers an easy urine guide into the toilet, and features water repelling material that keeps hands from becoming wet. 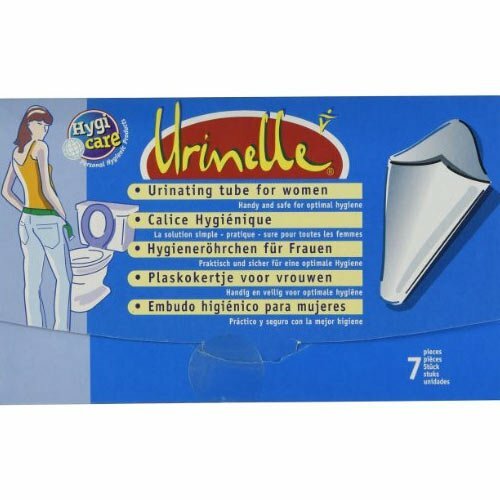 The 7 Pack Urinelle® Female Urinary device is a paper cone for women tailgaters to use to avoid dirt toilet seats. Giving a woman freedom to urinate while standing, it is perfect for women of all ages. Featuring paper material that is water repellent, it keeps hands dry while being used. Being 100% biodegradable they can also be thrown into the toilet and flushed. Used with the Tailgating Porta Potty, they provide an easier and more hygienic solution when the public port-o-let is in use and the line is endless. Compact in size this female urinal cone can be easily carried around in any handbag, and can be taken into the stadium. User friendly and affordable they are perfect for keeping your tailgating experience clean and hygienic.